Intercontinental's buffet is one of my favorite as their seafood is always fresh so I've always wondered what their dining will be like. Finally I had a chance to try it out and the whole dining experience was amazing. 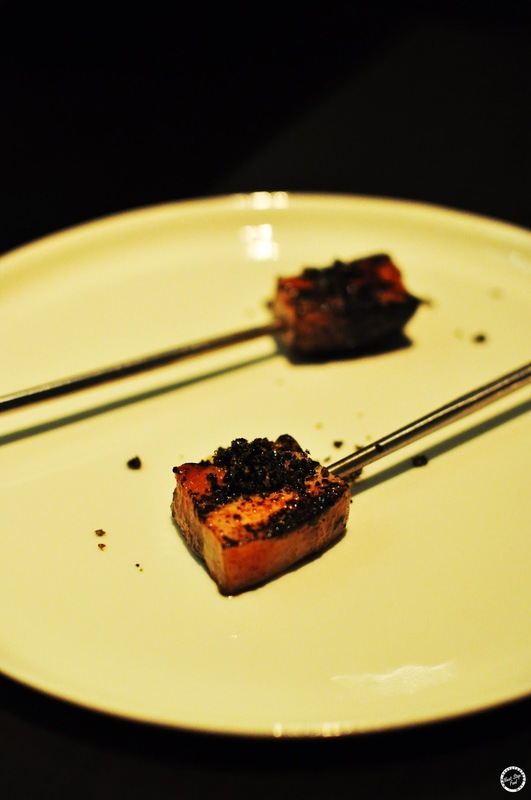 For amuse bouche, we had the pork jowl. 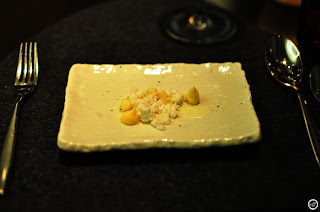 At first sight, it seemed a bit heavy for an amuse bouche but this is not the case at all. 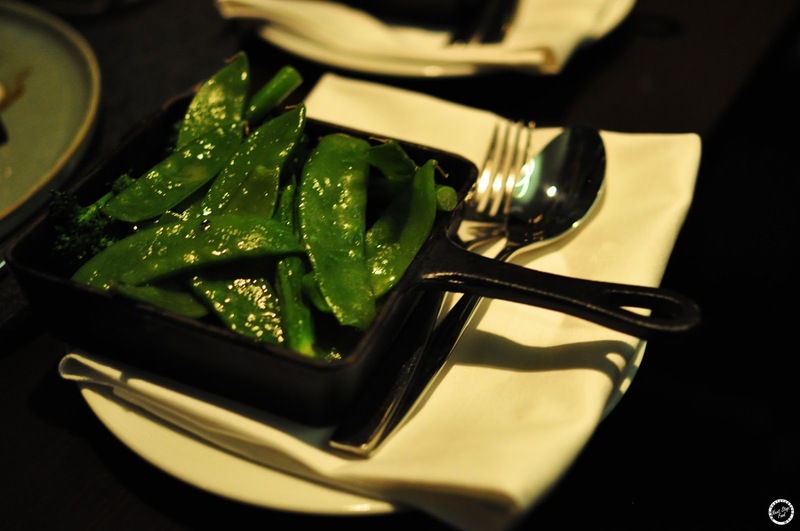 The pork simply melted in my mouth and the pickled veg increased my appetite for the delicious meal to come. What's more, It was like eating a lollipop hehe. 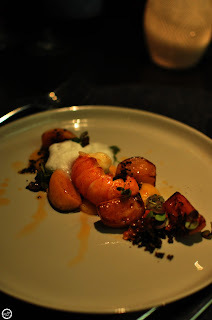 I've always loved marron because it's so freshly sweet and this one doesn't disappoint. 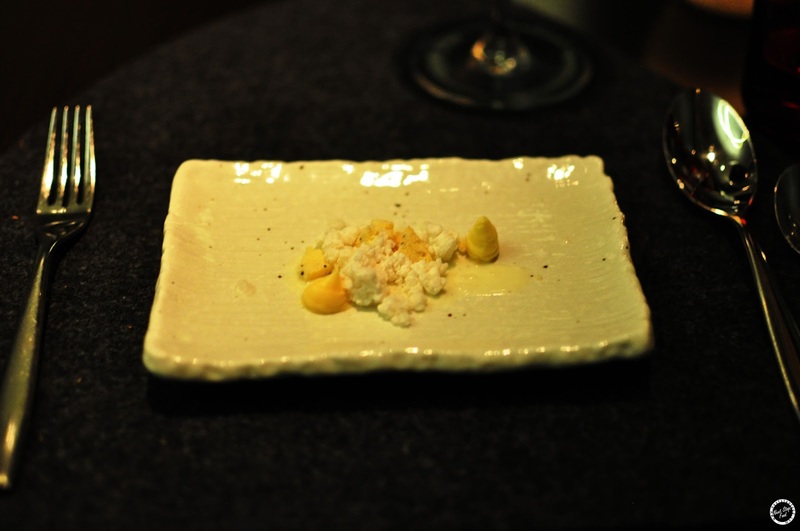 The smoked caviar enhanced the sweetness. Soo good! 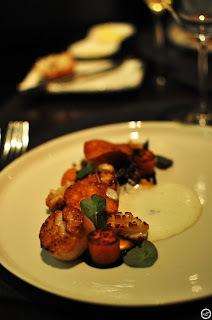 Beautifully cooked scallops was perfect with black garlic which wasn't overpowering. Totally didn't expect the innocent looking emulsion to have such a strong cheddar taste! Loved it with the quinoa. 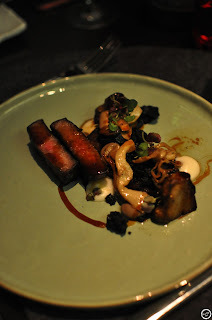 The beef was cooked medium rare as promised, it was so succulent and delicious. The mushrooms absorbed the sauce from the protein which made it even more tasty. How pretty does this look! 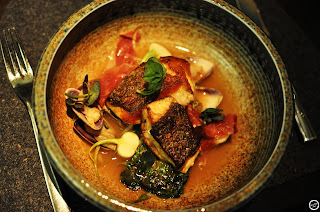 The broth had an intense jamon flavour which complemented with the sweet roasted lettuce and daikon. I enjoyed eating the perfectly cooked cod and smoked pippies! 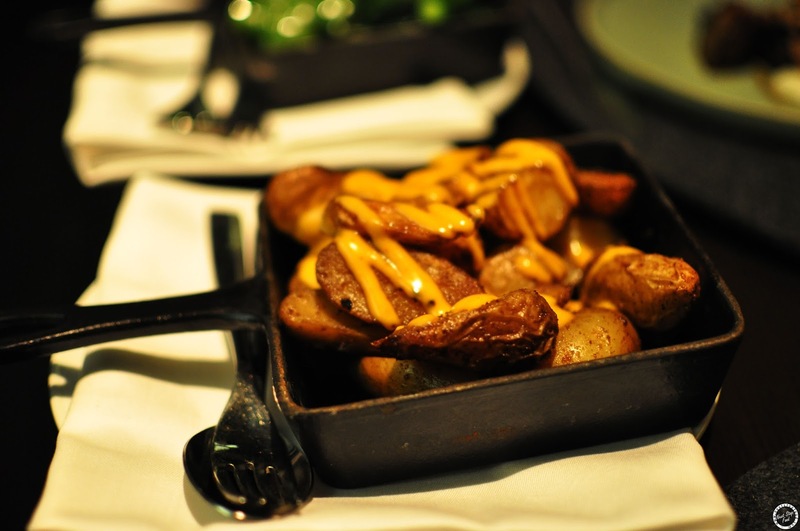 Hello crispy potatoes! I can never ever get enough of potatoes cooked in any way so my eyes were glittering when these lovely things arrived on our table. This perfect palate cleanser was out of this world, it has most of my favourite things in it. I firstly took a spoonful of lime and coconut together and was surprised by the lovely tang. Then the ginger cream came and I loved it. We were told that we HAVE to order this for dessert, of course we listened to the ones who knows the restaurant food the most. 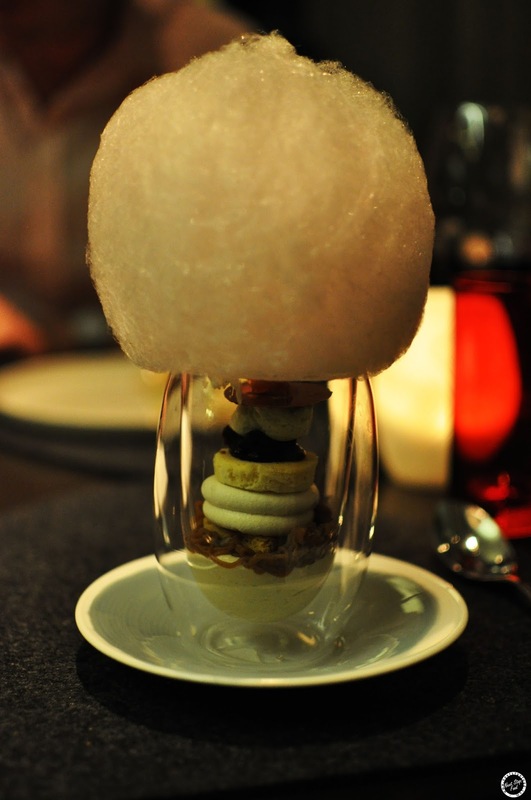 The fairy floss is like Aqua S, it gets a bit messy in the end. I absolutely ADORED the chestnut cream, if you give me a whole bowl of it, I'll finish it in no time! The dessert on the whole wasn't overly sweet. This was a tad sweet than the other one. 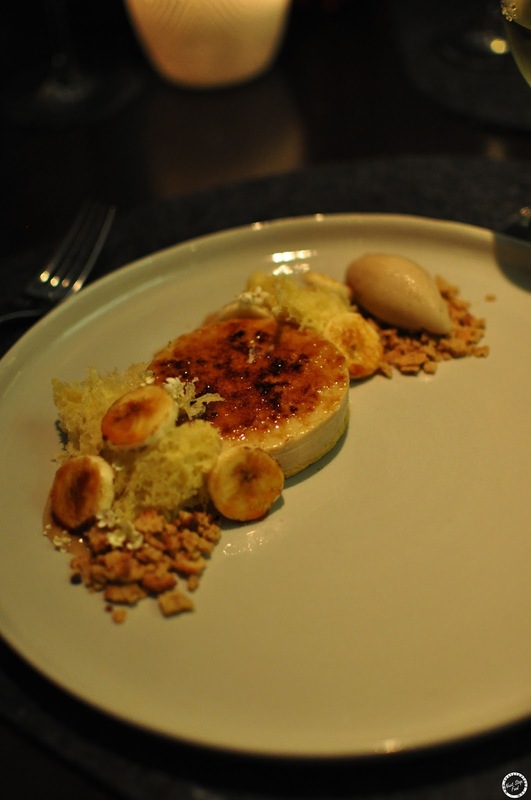 Definitely can taste the jasmine in the creme brûlée and it actually went well with all the banana elements. 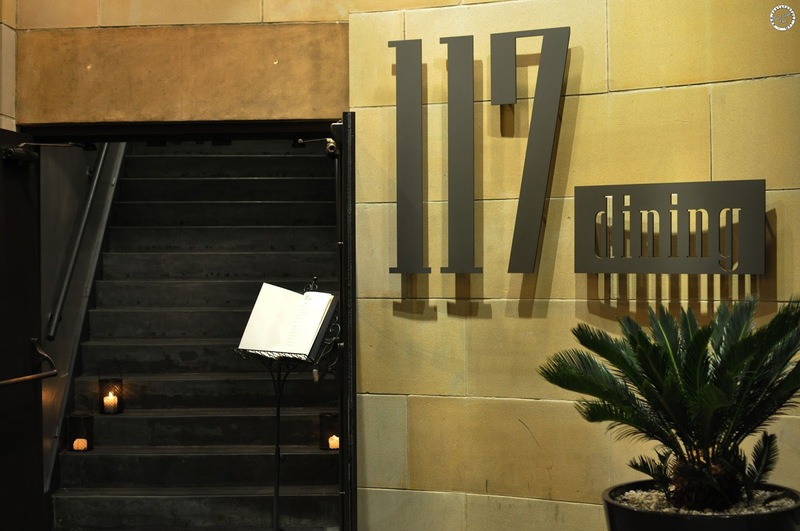 117 dining has an individual entrance outside the intercontinental hotel and you can also enter via the buffet entrance. Big thanks to Lani from prWorks for giving me a chance to enjoy this delicious meal! The staff were really nice and attentive and it's a great place for a romantic dinner. The boy and I loved the dinner and would most definitely come back. 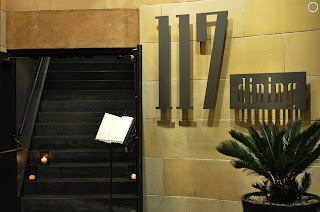 Disclaimer: Next Stop: Food was invited to 117 Dining by Lani from prWorks. All comments are however based on my own thoughts. the pork powl looks really good! The chestnut creme sounds incredible. 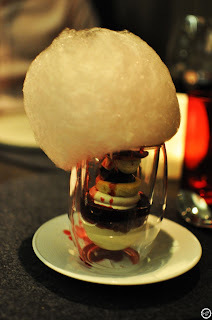 And lol fairy floss is always a deliciously messy affair! Gotta love chestnuts :) lol yes.. fairy floss always end up messy!